Experience the ultimate match day at Old Trafford with our official Manchester United hospitality packages for the 2018/19 season including Premier League, UEFA Champions League, League Cup and FA Cup fixtures. We are delighted to offer three of the finest hospitality packages for Manchester United’s games with the Champions Club, Evolution Suite and Sports Bar facilities. All of these offer you first-class hospitality, outstanding views of the action and an unforgettable day for you and your guests. Official Manchester United Hospitality packages for the Manchester United v Barcelona United fixture in the 2018/19 season Champions League. Official Manchester United Hospitality packages for the Manchester United v Watford fixture in the 2018/19 Premier League season. Official Manchester United Hospitality packages for the Manchester United v West Ham United fixture in the 2018/19 Premier League season. Official Manchester United Hospitality packages for the Manchester United v Cardiff City fixture in the 2018/19 Premier League season. The Manchester United v Leicester City fixture in the 2018/19 Premier League season has already been played. 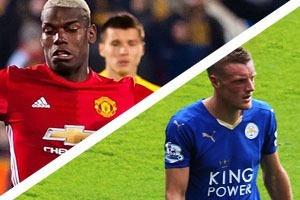 The final score was Manchester United 2-1 Leicester City. The Manchester United v Tottenham Hotspur fixture in the 2018/19 Premier League season has already been played. The final score was Manchester United 0-3 Tottenham Hotspur. The Manchester United v Wolves fixture in the 2018/19 Premier League season has already been played. 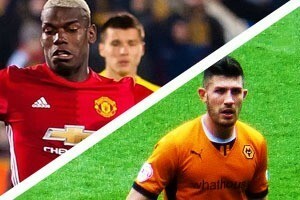 The final score was Manchester United 1-1 Wolves. The Manchester United v Newcastle United fixture in the 2018/19 Premier League season has already been played. The final score was Manchester United 3-2 Newcastle United. The Manchester United v Everton fixture in the 2018/19 Premier League season has already been played. The final score was Manchester United 2-1 Everton. 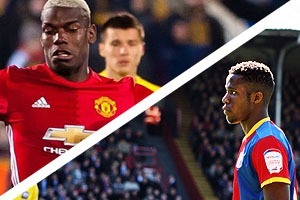 The Manchester United v Crystal Palace fixture in the 2018/19 Premier League season has already been played. The final score was Manchester United 0-0 Crystal Palace. The Manchester United v Arsenal fixture in the 2018/19 Premier League season has already been played. 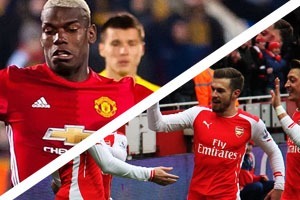 The final score was Manchester United 2-2 Arsenal. The Manchester United v Fulham fixture in the 2018/19 Premier League season has already been played. The final score was Manchester United 4-1 Fulham. The Manchester United v Huddersfield Town fixture in the 2018/19 Premier League season has already been played. The final score was Manchester United 3-1 Huddersfield Town. 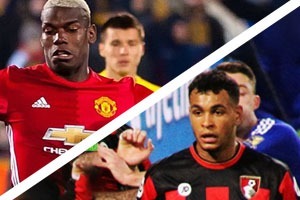 The Manchester United v Bournemouth fixture in the 2018/19 Premier League season has already been played. The final score was Manchester United 4-1 Bournemouth. 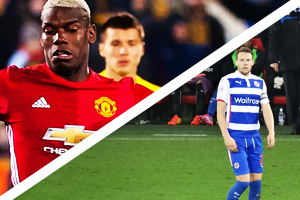 The Manchester United v Reading fixture in the FA Cup Third Round has already been played. The final score was Manchester United 2-0 Reading. The Manchester United v Brighton fixture in the 2018/19 Premier League season has already been played. The final score was Manchester United 2-1 Brighton. The Manchester United v Burnley fixture in the 2018/19 Premier League has already been played. 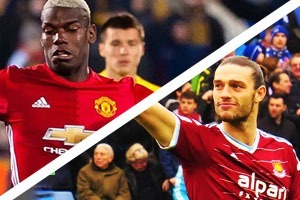 The final score was Manchester United 2-2 Burnley. The Manchester United v Liverpool fixture in the 2018/19 Premier League season has already been played. The final score was Manchester United 0-0 Liverpool. 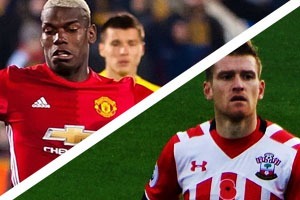 The Manchester United v Southampton fixture in the 2018/19 Premier League season has already been played. The final score was Man United 3-2 Southampton. With Jose Mourinho leading The Red Devils into his third season in charge at Old Trafford, hospitality packages for Manchester United games are going to be as popular as ever during the 2018/19 season. The Champions Club consists of two luxurious suites inside the North Stand at Old Trafford; with both offering a stylish and relaxed setting for you and your guests. With executive seats on the halfway line in Sir Alex Ferguson Stand, you are guaranteed first-class hospitality and unrivalled views of the action. The Evolution Suite offers you and your important clients and guests a VIP match day experience at Old Trafford. With stunning panoramic views of the glorious pitch along with outstanding hospitality. Designed with the clubs long and illustrious history in mind, the ultimate experience for any Manchester United fan. 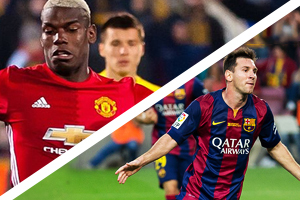 The Sports Bar package offers a more informal and relaxed way to enjoy hospitality at Old Trafford. The fantastic atmosphere created within the in either Sports Bars or the Academy, perfectly complements the world class football on the pitch. Don’t miss the chance to enjoy fantastic match-day Manchester United hospitality at the Old Trafford for the 2018/19 season. 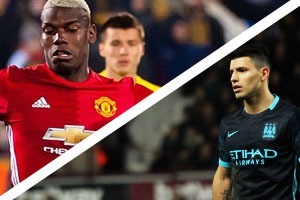 Your important guests and clients will be treated to a VIP Manchester United hospitality experience combined with excellent seats to watch the Red Devils in action.